Tom Reeves will give an illustrated talk, with photographs from the Edward Reeves Archive. 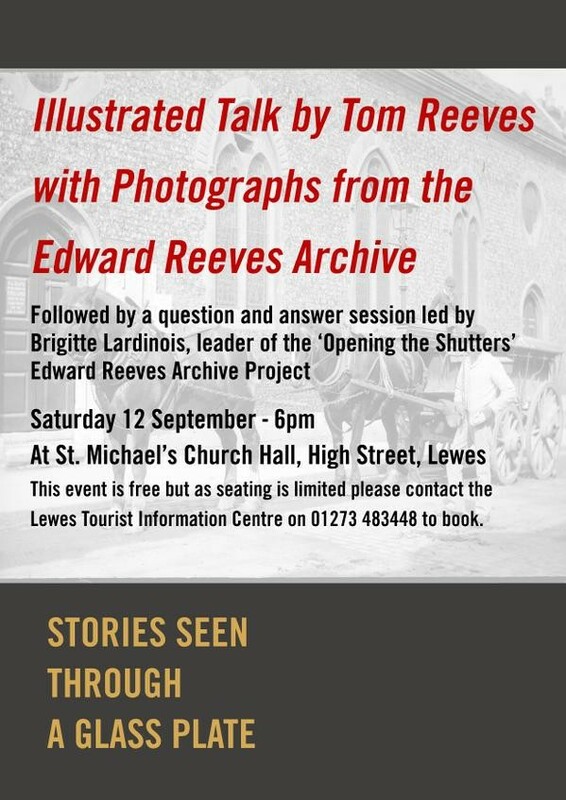 This will be followed by a question and answer session led by Brigitte Lardinois, leader of the ‘Opening the Shutters’ Edward Reeves Archive Project. Entry: Free, but seating is limited, so please contact the Lewes Tourist Information Centre on 01273-483448 to book.